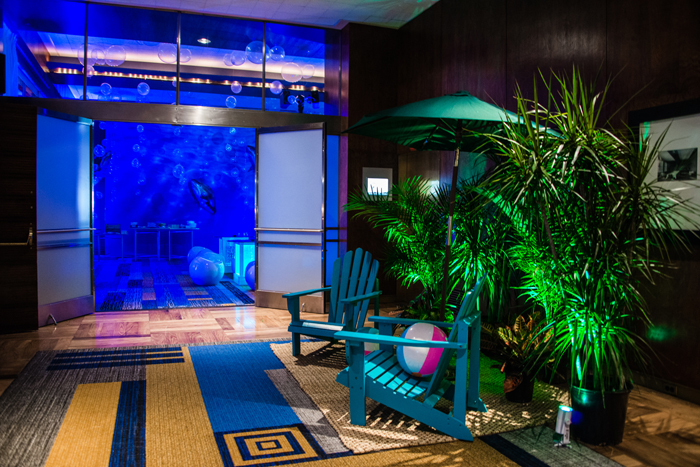 One event—three diverse terrains. 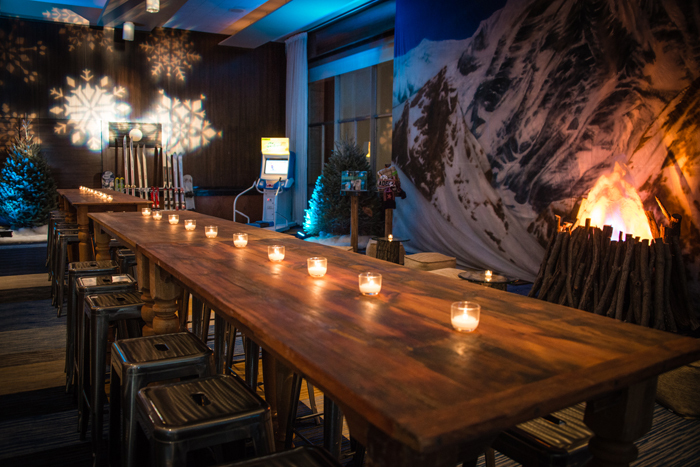 Inspired by the theme that corporate culture transcends barriers, we transformed a neutral hotel space into a trio of distinct natural environments. 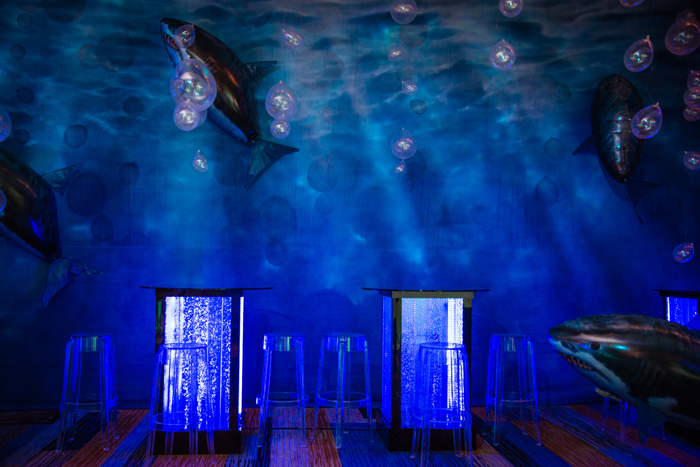 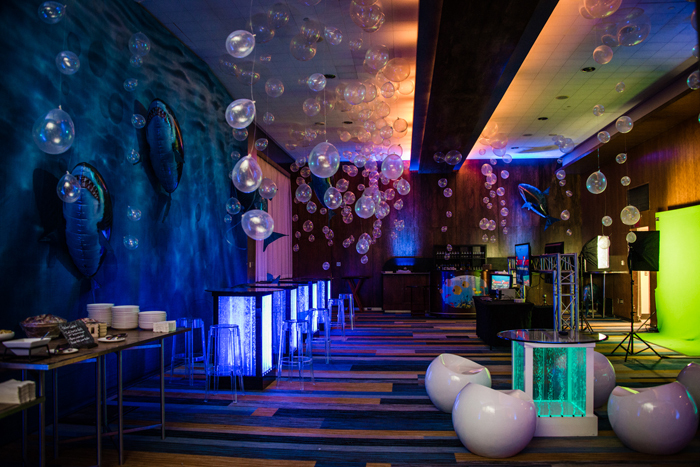 In the Ocean Room, bubbles ascended illuminated water tables as guests swam with sharks via a virtual reality game. 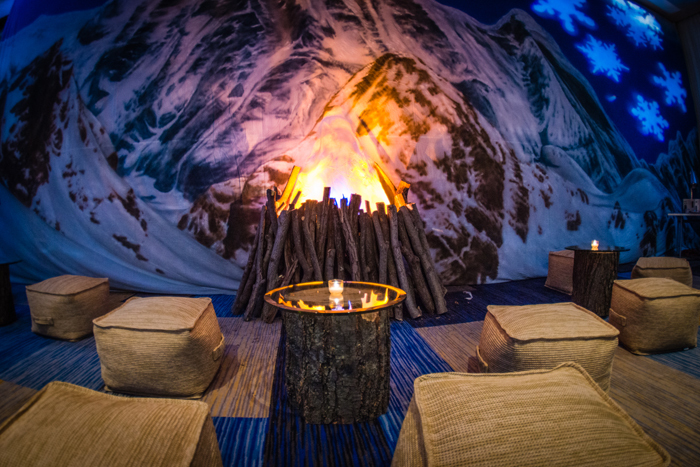 Stepping into the Mountain Room was akin to coming in from the ski slope, where guests were welcomed to sit at communal tables by a fire burning beneath a mountain backdrop. 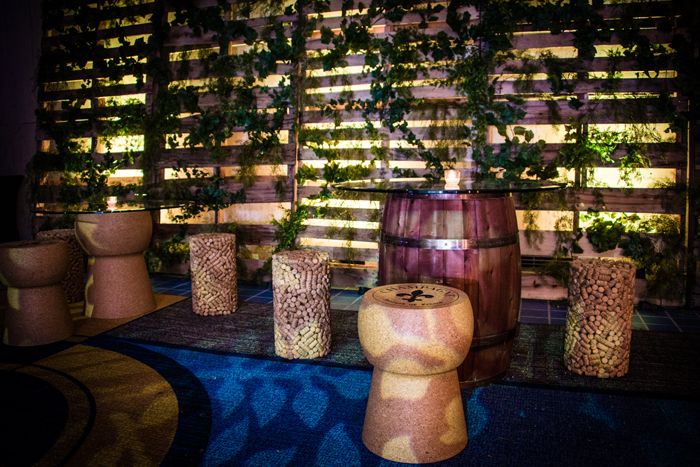 Corks, tannins, and grapevines abounded in the Napa Room, which was decorated with cork tables and bar stools. 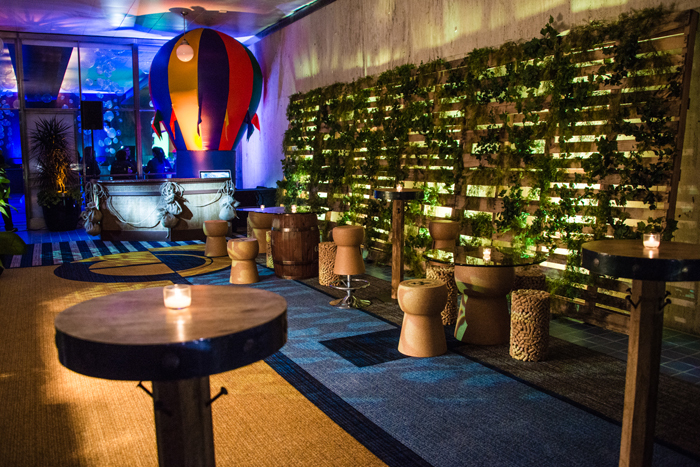 Wine tastings paired with a virtual reality hot air balloon ride to lift guests to new heights.